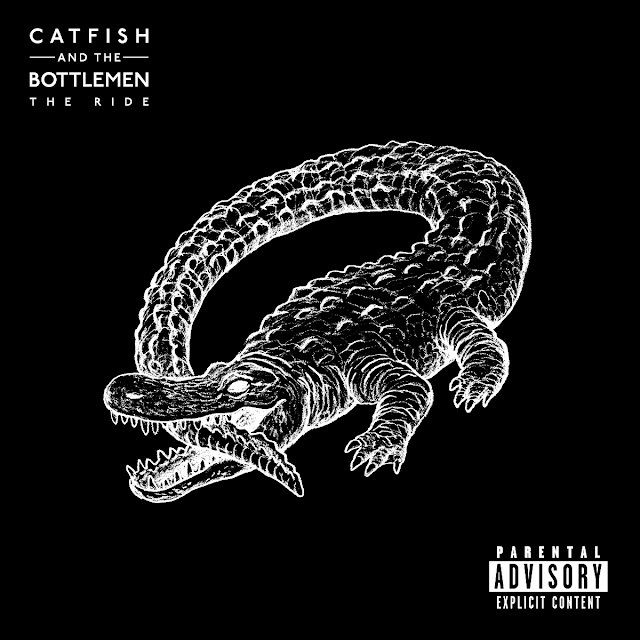 Catfish and the Bottlemen launched into our lives two years ago with their debut album, The Balcony, which seemed to breathe life back into the British indie-rock scene, with everyman lyrics and prevalent use of guitars, especially in a time of music saturated with electronic effects. Now, they're back with their second effort, The Ride. And it's good, it really is. But is it outstanding? The style is very similar to their debut, which is a style I do very much enjoy, guitar heavy and largely quite laid-back - tracks like 'Oxygen' are even a little bit folksy. It's the music of grungy underground clubs, rough and raw and urban. It feels like it could have been released 10 years ago too, when that early '00s indie rock of bands like Oasis rode high in the charts. It's straightforward rock, which will no doubt get the festival crowds moving this summer. There are a few nice highlights too, like that guitar solo in 'Soundcheck'. But these are all descriptors I could have used to describe The Balcony too. There's seems to be little development or maturation of their sound. For some people, this is fine, as may of us have experienced our favourite bands getting experimental and creating something we just don't like. But showing next to no progress at all will get stale very fast - when their third album comes, I would like to see something different. The same is true of the lyrical content. There is nothing pretentious going on here, as the stories told in each song are to be taken entirely literally. They are stories of girls and nights out, for the most part, that most of us have experience too. These are day-to-day, everyman lyrics, that are not trying to be different or poetic in the slightest. In some ways, this feels raw and truthful, and can be a welcome break from the elaborate imagery and overwrought lyrics. I like the specific place references, such as 'Glasgow' (particularly since I'm a Scot) and 'Heathrow', which give the songs a setting and a grounding. But in trying to stay grounded and simple, and avoid pretentiousness, they are verging on boring. For me, music and songwriting is an art form, and a place in which we are allowed to be poetic and creative and imaginative, all things that these lyrics are lacking. You don't have to make them entirely obscure and complex - but exploring some deeper themes would be nice! Music should tap into emotions that we perhaps find difficult to express ourselves, but these tracks lack a lot of emotional depth. Don't get me wrong - I like the record, I really do. It's fun and easy, a little bit rough and ready, and I'm sure it will be a big hit at live shows and festivals. But the band are so set on being a normal, everyday sort of band, that they are losing a sense of individuality, of creativity, and of emotional depth, which are some of the cornerstones of good music, and especially music I will relate to. 'Glasgow' is quiet and simple, and 'Oxygen' is fun and catchy, but neither of these tracks, nor any other, are real standouts on the album - it all sounds a bit same-y. Where this straightforward indie rock style and lack of pretentiousness worked so well on The Balcony, to repeat it so closely on The Ride, feels stale and a little bit lazy. I'll continue to listen to the record, and to enjoy it, but I would definitely like to see more progress and depth if a third album comes along.